Helping ASD youth become independent adults. 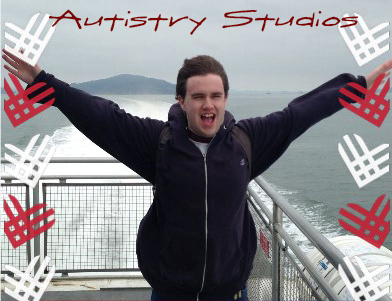 At Autistry Studios we help teens and adults with Autism, Asperger's and other learning differences become successfully independent by leveraging their interests and talents while creating a community. Oh, what an amazing year! Autistry growth in 2018 was much like that of a teenager- awkward and exhilarating, fun and a bit frightening, at times plodding and frustrating yet filled with limitless possibilities. We grew in bursts and scrambled to hire staff to work with all the new students. We went from 4-day work weeks to 6-day work weeks (and the 7th may yet come into play). Like teenagers, we explored, experimented, bonded together, and overcame obstacles as we pushed through to a new level of organizational maturity. Core Workshop: we welcomed many new students this year and saw the completion of some outstanding projects. 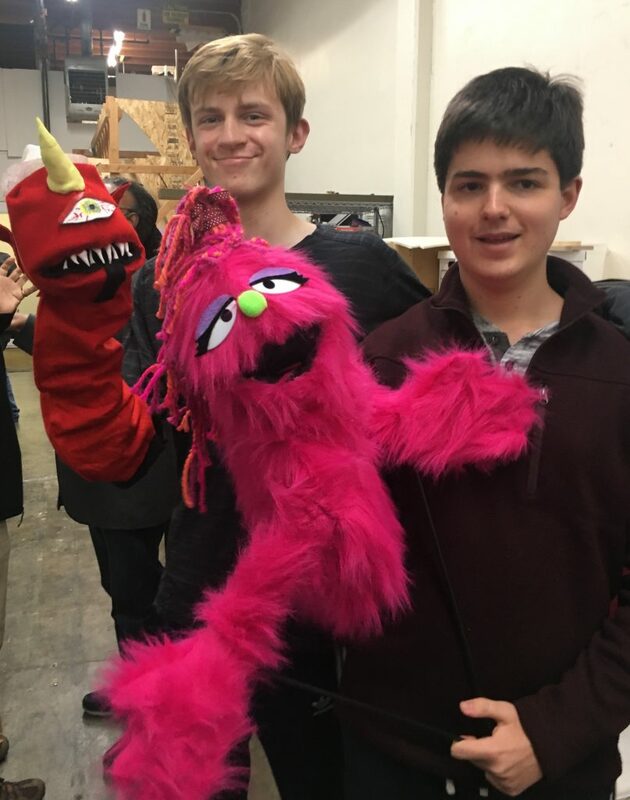 Edward and Tom created beautiful large puppets that have now set off a new puppet-making trend at the studio. 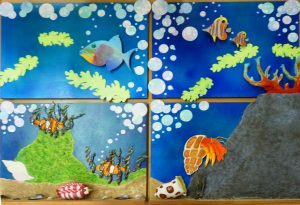 Danielle put the finishing touches on her Under the Sea 4-piece multi-media artwork. Alex’s new board game is a huge hit. Jonathan designed and built octagonal redwood end tables for his patio. Steven and Nat are each working on sequels to their last animated short films. Freya finished Jupiter, the first in her ShopBot planet project. And Avery’s Venom diorama received far better reviews than the movie! 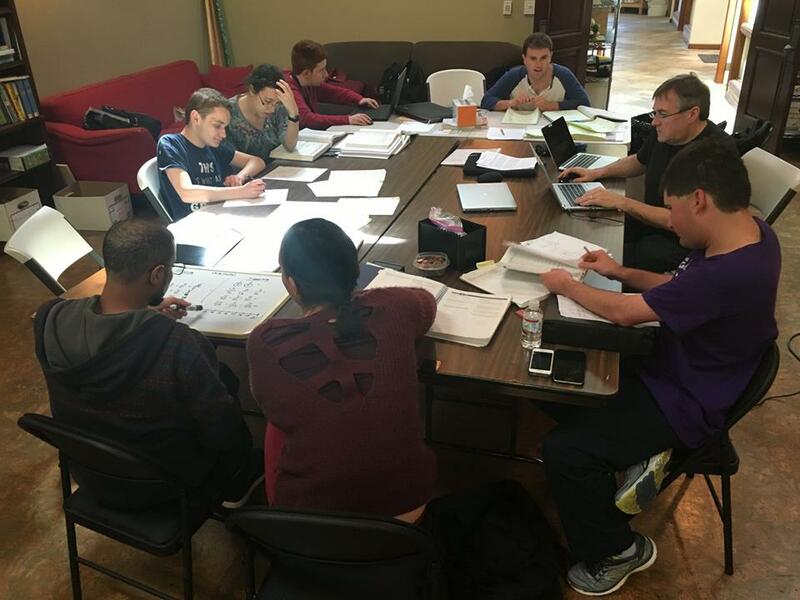 Autistry Comprehensive Adult Program: our most impressive growth has come in the ACAP program. Not only did we triple our ACAP student body after the spring semester but we have several new students and new staff beginning in January. All our ACAP students take at least one academic college course during their first two semesters in the program. Managing all these college course schedules, vocational skill trainings, and community activities is a challenge but well worth the effort: the Fall 2018 students surpassed all our expectations! Many of our students are well on their way to getting AA degrees. Others have discovered new abilities and awakened dormant talents by taking challenging courses. They all worked diligently, studied in earnest, and are setting new goals for themselves in 2019. I could not be prouder of this group of young adults, many of whom did not recieve a high school diploma. They have reinvigorated my faith in the resilency of the human brain and the human spirit. Seeing their success has also strengthened my committment to continue to advocate for remedial level community college Math and English courses that allow students to gain foundational academic skills. 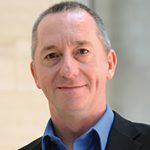 The maturational lag of autism often precludes autistic individuals from accessing/processing abstract information at the same age as their neurotypical peers. 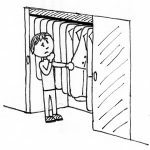 Because of this, autistic students are diverted into speical education life skills courses and are assumed to be unable to grasp complex material. But, as the Autistry students are proving, brains mature at different rates and when they are ready they surprise us all. 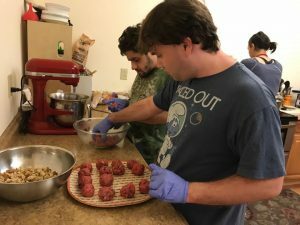 2019 Plans: Autistry has partnered with two other nonprofit organizations to create vocational internships. 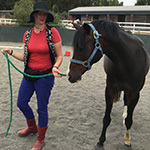 Square Peg Foundation at Cadence Farm in Sonoma and the Western Railway Museum in Rio Vista both offer a wide variety of jobs and many opportunities to learn new skills. 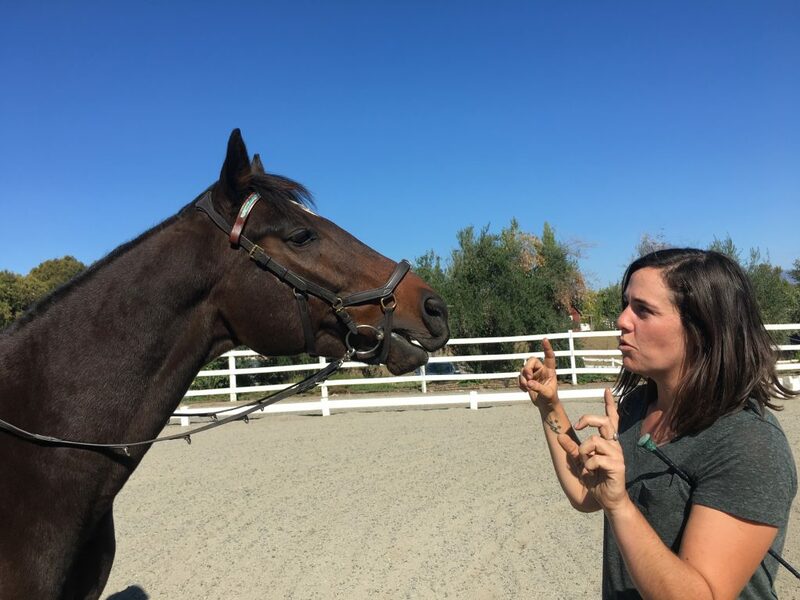 At Cadence Farm our crews will be working with rescued thoroughbred racehorses and helping to maintain the farm and keeping all the various riding equipment in top shape. At the Western Railway Museum there is much work to be done restoring historic trolley cars, general museum upkeep, and engaging with the public. Meaningful work and continued college education are the key ingredients for Autistry 2019. It’s End-of-Year Donation time! 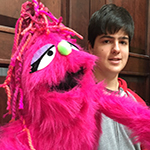 Please help us continue to create innovative and exciting programs for autistic teens and adults. To see what your donations support check out the Giving 2018 Blog or go directly to our Donate Page. Thank you! Join us on Facebook for the latest project photos and program updates. Autistry Studios builds independent adults. Becoming independent is not a passive process. It takes courage and an inner fortitude to challenge oneself to learn a new skill, break an old habit, or create a dream. 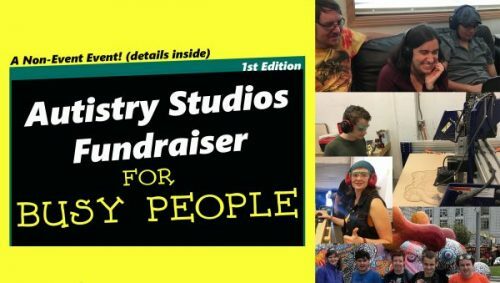 Autistry is a therapeutic/educational Maker Space celebrating its 10th year providing programs and services to autistic teens and adults and those with other developmental, communication, and social issues. Sew much help! $50 buys 24 1,000 yard spools of thread, assorted hand-needles, pin cushions, seam rippers AND a pair of fabric scissors for creating costumes, quilts, puppets, and stuffed animals! Art supplies keep Autistry artists painting dioramas, fine art pieces and fabulous character clocks. $100 buys a set of 53 tubes of acrylic paint, 3 quarts of gel medium, AND 12 natural bristle brushes. 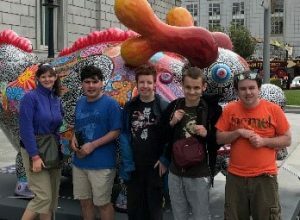 Support the Autistry Excursion groups as they explore local attractions throughout the Bay Area: 20 bus rides, 10 SMART train trips, AND 10 tickets to the Asian Art Museum are just a few of the ways we would spend $250. Hands-on learning requires hands-on materials. 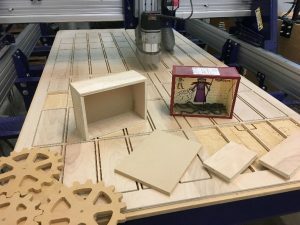 A $500 donation purchases 10 sheets of plywood, 5 new blades for the jigsaw, AND 4 new ShopBot bits – enough material for at least 20 cool projects. We are what we eat! $1,000 provides nutritious lunches for one full month of Autistry Workshops AND buys groceries for the Cooking with Gabrielle workshop where students learn to make complete meals. Saddle up! Through our partnership with the Square Peg Foundation Autistry students gain essential equestrian work skills – horse grooming, ranch maintenance, and the care of saddles and bridles. $2,500 covers transportation costs and essential protective gear – work gloves, sunscreen, and work hats. All aboard! 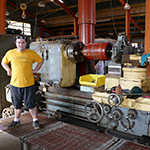 Autistry is partnering with the Western Railway Museum to create a unique skill-building internship program. A $5000 donation purchases safety equipment (work gloves, protective eyewear, safety vests) and covers transportation costs for a full summer of hands-on work experience for 2 Autistry crews. 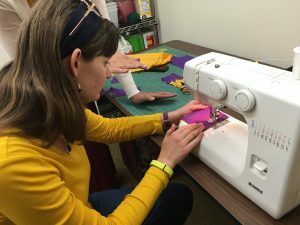 Opportunity funding helps low income families access Autistry Core Workshops. $10,000 donation creates sliding scale options for at least 5 new Autistry students. Help us help them! We are well into the new school semester and I still haven’t done a summer wrap-up newsletter. Let’s fix that! 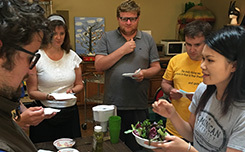 In June we launched our first Autistry Comprehensive Adult Program (ACAP) Summer Session. It was five days a week of exercise, vocational training, college prep, and fun. The program tripled in size the first week, reaching our goal of 12 students a full 6 months earlier than planned. All of the summer ACAP students have continued with us into the fall semester. Each week began with a trip to the Dominican University Conlan Center for a workout session and/or a swim in the pool. The trip itself was exercise and travel training. 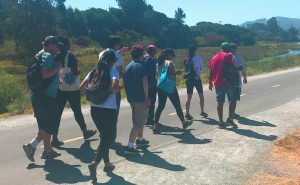 Students walked from the studio to the San Rafael Transit Center and took the bus to the gym. Many lessons learned along the way: Do not walk along busy streets wearing ear plugs and playing games on your iPhone. 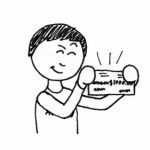 Yes, you need either current college ID, ticket, or an active Clipper Card to ride the Marin Transit bus. No, the bus does not wait for you if you are late to the bus stop. 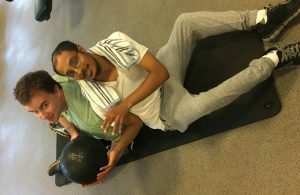 Ian and Teodros – Gym Buddies! 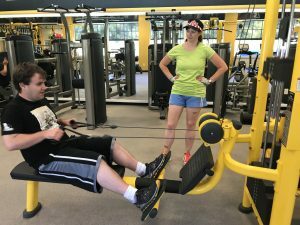 At the gym the students, under the direction of Autistry mentors and DU graduate OT interns, created individualized workout plans and paired up to be Gym Buddies. And there was at least one pool session a week where the students could improve their swimming skills and review water safety. The Conlan also provided a great basketball court, outdoor soccer fields, and a running track – we made use of them all. Back at the studio, we honed our vocational skills with several different projects. 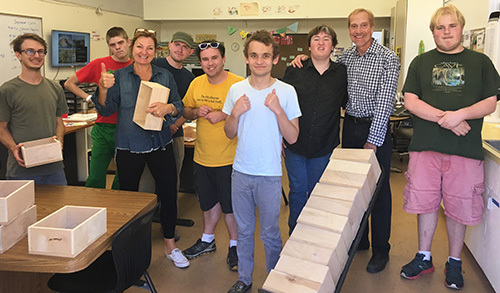 Matt Glenwright, Autistry Program Director for Vocational Training, taught shop skills using the laser cutter, ShopBot, bandsaw, and other woodworking tools. Students also used graphic and CAD software to create unique designs. Lots of measuring, figuring, and cutting went on this summer. 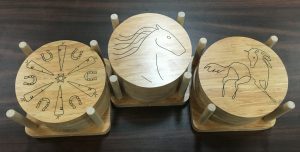 We were happy to donate three sets of original equine-themed bamboo coasters to a raffle supporting Square Peg Foundation. And, we delivered the Art Boxes to Oak Hill School. Wednesday’s Cooking with Gabrielle was a huge hit. Each week featured a student’s favorite family recipe allowing us to enjoy new tastes: chana masala, homemade pesto, Mason Family cranberry sauce, creamy vegan one-pot pasta, and many more tasty dishes. They also experimented with exotic spices and strange, tongue-tickling textures. In the spirit of keeping our brains active and preparing for fall college classes we spent many hours doing academic basics: reading writing, and arithmetic. Gabrielle and Sara prepared special learning packets for each of the students to brush up on Math and English skills. When classes started in late August the Autistry students were ready. 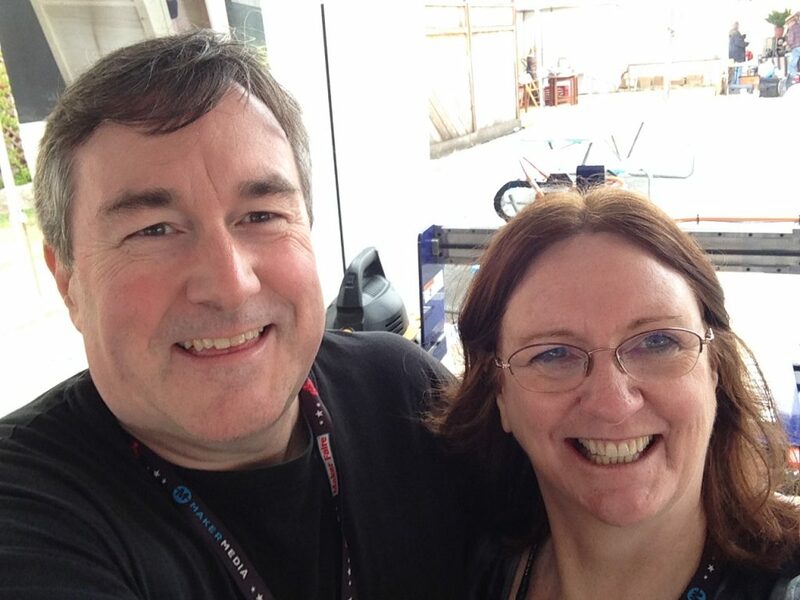 And, of course, there were the fabulous Friday excursions with Sara Gardner. 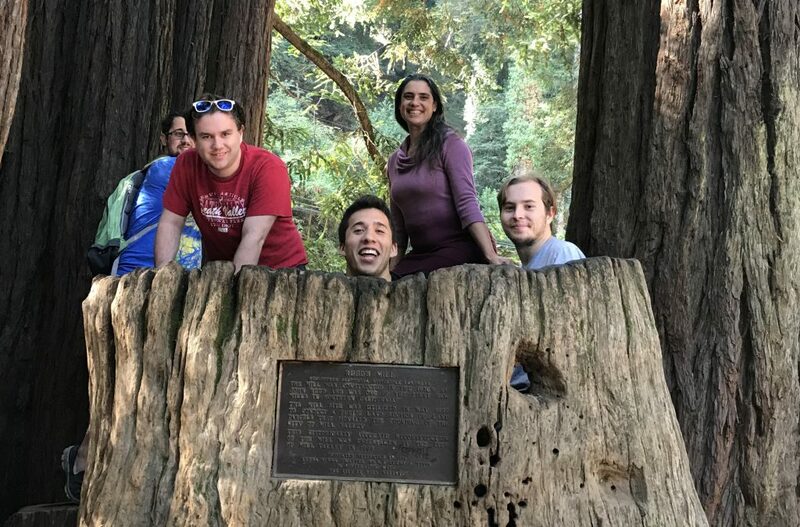 Just a few of the places they visited: San Francisco Exploratorium, Point Reyes National Seashore, Japanese Tea Garden, Square Peg Foundation horse farm, SF zoo, and Jack London State Park. These excursion are not only fun but also practice travel skills and offer the opportunity to explore our community. 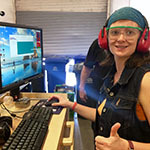 The Core Build Stuff Workshops remain the heart of Autistry. In these weekly 4-hour workshops amazing projects are being created. This summer Edward finished his plushie character, Dashi from Octonauts. He is now working on a very cool puppet. 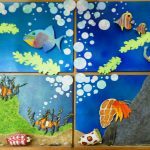 Danielle completed her award-winning multi-media piece, Peek-a-Boo – Under the Sea, several animated films are underway, and many 3D printed projects happened. 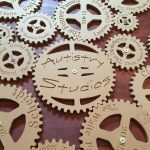 This fall we celebrate 10 Years of Autistry Build Stuff Workshops! We offered our first workshop in September 2008 and we have added new workshops and new services every year. 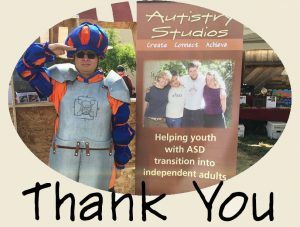 Please consider a donation to help us continue to expand Autistry for another 10 years! Summer is here! Before I tell you about the great summer program at Autistry I want to celebrate and congratulate our students who have successfully found employment. This is a tough job market where even entry level positions often require college degrees. Though Autistry does not formally provide job placement we have found that good work habits lead to good jobs. 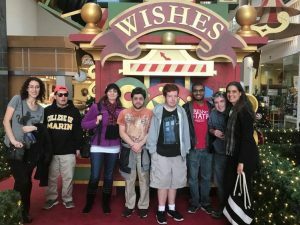 Both the Core Workshops and the Autistry Comprehensive Adult Program focus on essential workplace skills – critical thinking and problem solving, effective communication, self-regulation, initiative, follow-through, basic academic skills, and teamwork. 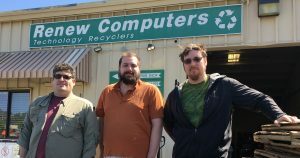 Alan, Mike, and Ian G. are all on staff next door at Renew Computers. They will greet you when you come in, help unload your recyclable goods, build you a new computer, and do it all with a smile. Other Autistry students test and clean keyboards and mice helping to keep electronic devices in working order and out of the landfill. 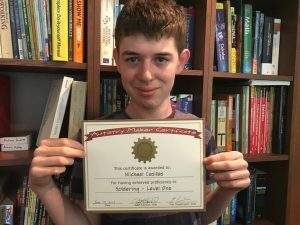 We are proud of our Autistry workers and our partnership with Michael Reynolds and Renew Computers. 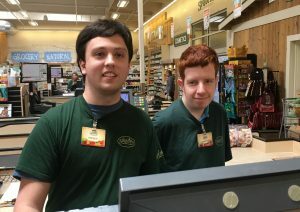 Sprouts Farmers Market has welcomed three Autistry students onto their staff: Steven, Chris, and Sawyer (not pictured). You’ll find Steven at the check-out counter ringing up your purchases. Sawyer is working in the deli section and Chris is everywhere – stocking shelves, cleaning up, and helping customers take their groceries to the car. Sprouts is a short walk from Autistry so we like to shop and check in on our friends. Congratulations to Danny! He landed two summer positions in local restaurants. 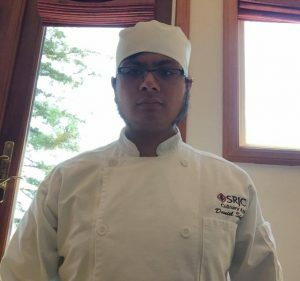 Danny is currently enrolled in the Culinary Arts Program at Santa Rosa Junior College. Restaurant positions are very competitive but Danny persevered sending out several rounds of applications, doing interviews, and kitchen ‘try-outs’. He will be working two part-time jobs as an intern line cook gaining crucial experience in his chosen career. Bon Appetit! And Corey – our media star! For years Corey has dreamed of working on Hollywood movies and this year he finally got his foot in the door as an extra on several productions filmed locally. 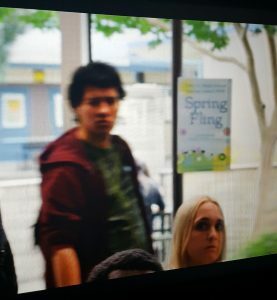 You can see him in 13 Reasons Why, The OA, and A Taiwanese Tale of Two Cities. Years ago, I was an extra in Sergio Leone’s Once Upon a Time in America. This seems like an easy job but I can tell you it is very demanding. Long hours of boredom interspersed with high-energy activity. Focus, self-regulation, following complex directions, and trying to be social when you are exhausted are all important skills for this job. Corey continues to get call backs from production companies and that shows he has mastered these skills. And he just had a very good 3-month job review from P-Town Books. Bravo Corey! Autistry Summer Programs: ACAP (Autistry Comprehensive Adult Program) and the Core Workshops are going full force this summer. With college classes on summer break the ACAP curriculum has expanded to include twice weekly workouts at the Conlan Center of Dominican University. With the help of four DU Occupational Therapy Level II interns, we are creating individualized fitness programs for each student. 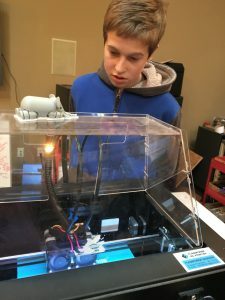 Matt has developed a summer vocational program to produce the art boxes, snowflake ornaments, and iPad screen guards so the workshop is humming. Gabrielle is working with the students to create menus based on student family favorite and traditional dishes for the Wednesday Cooking Class. Just because it’s summer doesn’t mean we stop learning – throughout the week we will have Academic Review Sessions to prepare for college courses in the Fall. And, it wouldn’t be ACAP without Sara’s Excursion Fridays! They have already gone kayaking, hiking, and to the theater to see Incredibles 2! The Core Workshop is busy with new projects and lots of new materials. Dan has gone crazy purchasing Arduino micro-controllers and electronic components to make all sorts of cool gadgets. And the trains are back! We’re adding home-made DCC (digital command control) systems to remotely control the trains as they speed along the tracks and will be experimenting with dead-rail (battery powered) systems. We are working on the layout adding new buildings and rebuilding the tunnels. 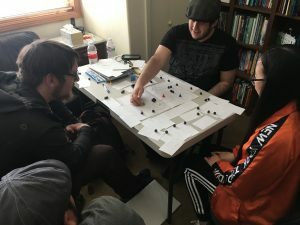 The Friday College Support group has been developing tabletop games and some students are working on writing and 3D design projects. Lots of fun! April is Autism Acceptance Month. I’m not sure what that means as I can’t imagine not accepting autism as a way of being, a way of experiencing the world. But I also know that many individuals need help along the way. Please take some time this month (and every month) to thank the schools, services, and programs that work hard all year long to help autistic children, teens, and adults become independent and accomplish great things. 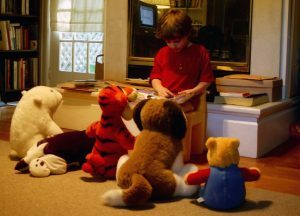 And just for fun, here is a photo of Ian recreating the Marindale Early Intervention Autism Class reading circle for his special students. 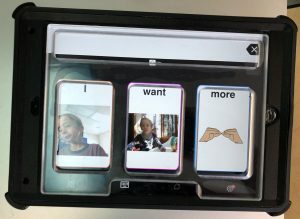 Custom iPad Screen Guards: In collaboration with the Tech Resource Center Marin, a program of the Marin County Office of Education, we are designing and producing acrylic screen guards for use with touch screen monitors. These screen guards are specifically designed to assist physically challenged individuals when using iPads and other touch activated devices. Art Boxes: These are assembled and ready-to-decorate wooden boxes that can be used by school and nonprofit art programs to create dioramas. Students learn to measure, cut, and assemble projects. 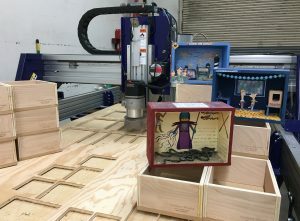 They learn to use the laser cutter and the ShopBot, a robotic cutting tool. The boxes are 8″ x 11″ x 4.5″ The back is MDF which is very good to paint on. The sides are 1/2″ plywood. 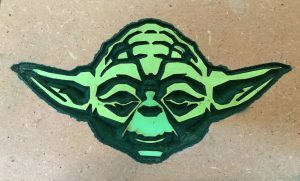 They include a separate piece of MDF 7″ x 10″ which can be painted separately and then glued inside the box after painting. Our first order will be delivered to Oak Hill School this summer! 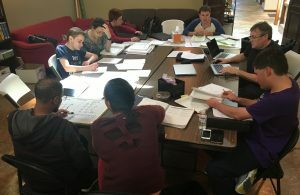 For our ACAP students the spring semester is quickly drawing to a close and the ACAP students are busy preparing for finals and finishing up their assignments. We have all learned a lot this semester, not just the coursework but also the finer points helping our students navigate college. 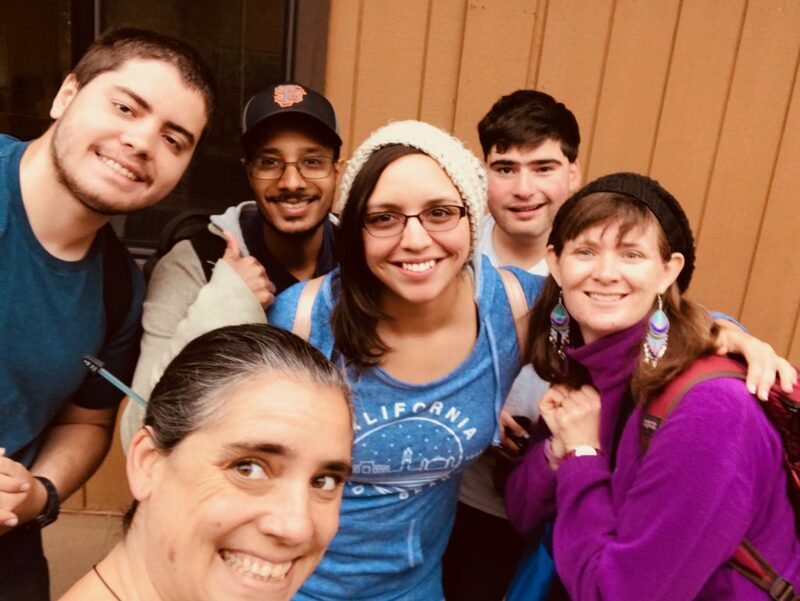 Throughout the year, College of Marin Student Accessibility Service (SAS) has been a fabulous partner. Stormy Miller, Director of SAS and her team have helped us find accommodations that work for our students and provided a supportive and accepting environment that fosters intellectual growth and independence. This semester we have students in two different math classes, a C++ programming class, and a music class. Four of our students are working towards their AA degrees. Besides going to school our ACAP students have been working on life skills like grocery shopping and cooking. On the Friday excursions they have visited the Asian Art Museum, the Charles Schultz ‘Peanuts’ Museum, the Bay Model in Sausalito, the de Young Museum, the Legion of Honor, and many other cool places. They have also hiked through Samuel P. Taylor Park, Marin Headlands and Point Reyes. Excursion Fridays with Sara are a hit at Autistry! 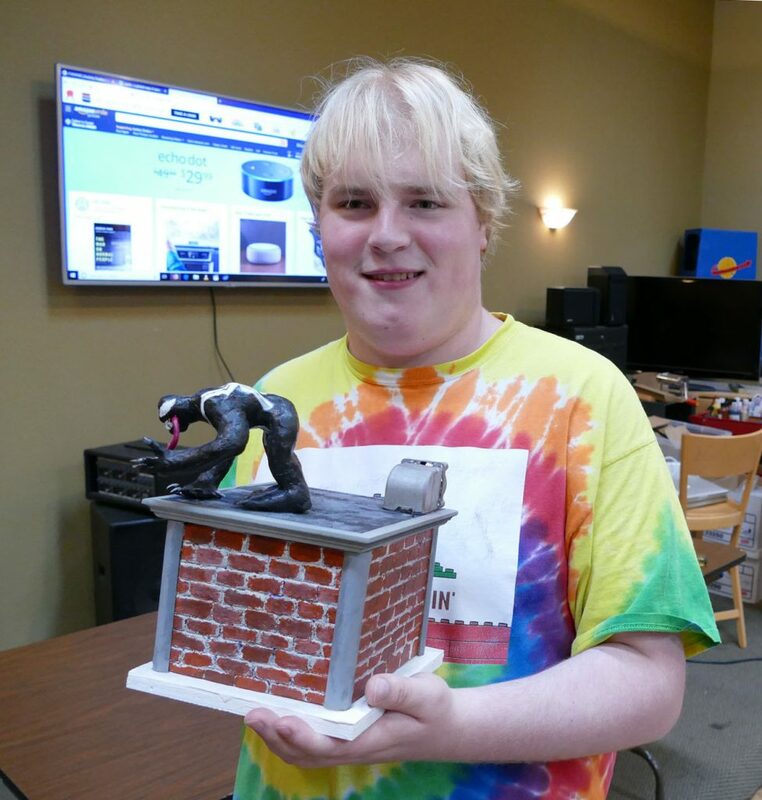 Our students in the Core Workshop Program have been busy creating amazing projects. Steven completed the stop motion animation short, Kirby vs The Dark Mattarmy and is now working on a new narrative film. Avery sculpted the character Venom and is working on a scenic diorama where Venom can live and wreak havoc. 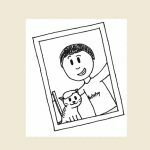 Nat’s picture book, Good Cat, Frank will be available soon on Amazon. Jonathan’s Enterprise Clock is ready for take-off. Lots of other cool stuff keeping the3D printer, laser cutter and ShopBot busy! 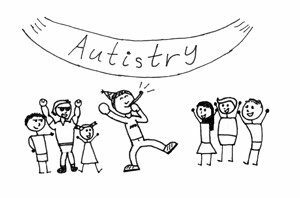 Mark your calendars for Saturday April 28 – it’s time for our sixth Autistry Scientists & Artists Party! We have an amazing lineup of presenters this year. A celebrated film visual/special effects artist, an MIT Media Lab inventor, a virtual reality and hologram pro, and a gene-splicer from the Buck Institute! Wow, just Wow. And, Ken Pontac returns to emcee with his special blend of dark humor and deep kindness. Did I mention that there will be karaoke? There will be karaoke! Tickets available online! A final reminder, please consider a donation to Autistry to help match the $7,500 pledged by the Miranda Lux Foundation. To unlock this $7,500 grant we need to raise $7,500 to match. Your donations will be matched dollar for dollar. Donations can be made online. 2017 – what a fabulous year! Last December I wrote that we were “ready to roll up our sleeves and take Autistry to the next level”. I am happy to report that we did just that. We received our Community Care License, became vendorized by the Golden Gate Regional Center, launched the Autistry Comprehensive Adult Program (ACAP), became authorized to award Continuing Education credits, launched the Autistry Professional Development Program with our first seminar, Working with the Autistic Client, and welcomed several new students to the Autistry Core Workshop Program. In 2017, we created a solid foundation and we are now rolling our sleeves up even higher to expand these programs and add more activities in 2018. Launch of ACAP: We have long envisioned a multi-day program to support transitioning individuals – not just those young adults going from high school to post high school, but also those transitioning from inactivity to engagement, from loss of job to finding one’s way again, and from isolation to community. Working closely with our Autistry students and families we have created a program that embraces and supports life-long learning, vocational readiness, healthy living, and cultural/social awareness. This is easy to conceptualize but a bit more difficult to materialize. It took months of scheduling, organizing, and planning but the reward – a successful first semester! How does ACAP work? 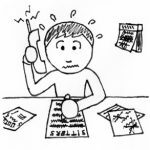 We organize our week around the college course schedule. Most students take at least one college course and usually attend class twice a week. 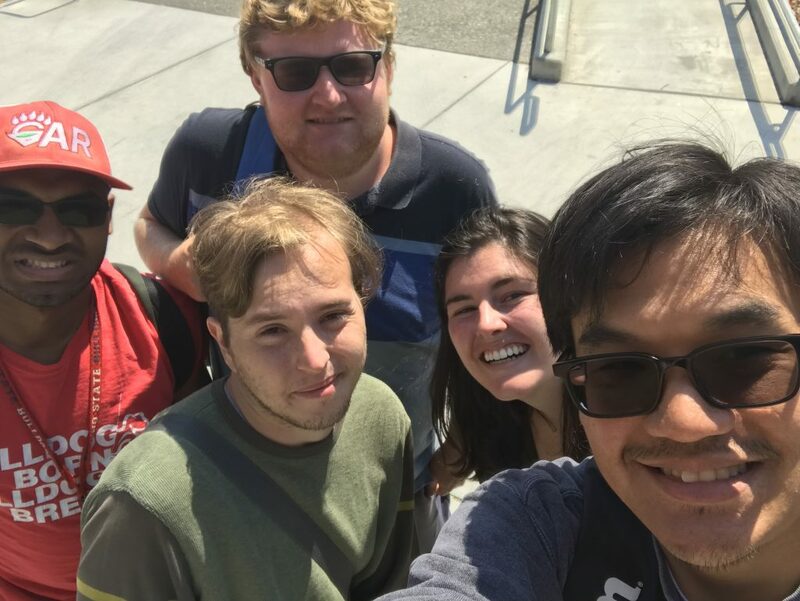 Autistry mentors help students navigate public transportation to get to class, will attend class with them when needed, and provide homework help at College of Marin Learning Labs and at Autistry. 1. Art Boxes: These can be used for creating dioramas. Matt teaches the students how to measure, cut, and assemble the wooden boxes. They also learn to use the laser cutter and the ShopBot. The art boxes will be donated to local art programs. Our first customers are Oak Hill School, Cedars of Marin, and The Helix School. 2. Screen Guards: At the request of Dan Phillips of the Technology Resource Center of Marin, we are making acrylic keyboard guards that fit over an iPad to help guide one’s fingers to the correct spot on a touch screen. With our unique shop facility and our talented workers in mind, we are exploring other cool projects to create for the TRC. 3. Art Smocks: Gabrielle and Chloe have designed a versatile smock for protecting one’s clothes while working with paints and other messy mediums. The basic prototype can be made in 3 different sizes with various pocket options. This project teaches our students how to create and adjust a pattern as well as machine and hand-sewing. The smocks will be donated to schools and nonprofit organizations. 4. 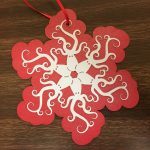 Original Ornaments: Allie and several students have designed fabulous animal-themed ornaments – like this octopus snowflake. We will make them in various materials – wood, acrylic, card stock, heavy fabric. The students learn basic design concepts, CAD drawing skills using several different professional programs, and how to use the laser cutter. These we may sell online or at Farmer’s Markets as a way to experience the world of commerce. We also offer the very popular Cooking with Gabrielle. She teaches nutrition and healthy eating along with basic cooking skills. The students have made some very yummy meals – Persian Shish Kabobs, Turkey Pot Pie, Chicken Enchiladas, and Empanadas. And of course there are the scrumptious cakes, cookies, biscuits, pies, and other tasty sweets. To top off the week, we have Excursion Fridays with Sara. 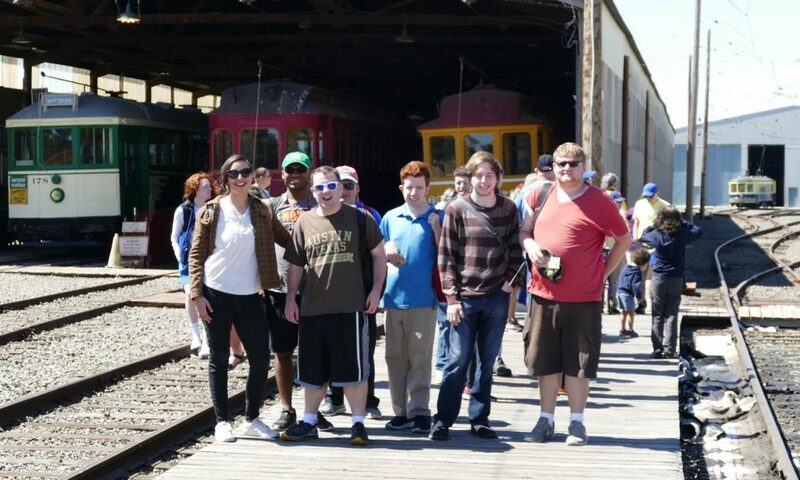 Each week the ACAP students explore the Bay Area. Trips have included the Asian Art Museum in San Francisco, a hike through Samuel P. Taylor Park, visit to the Bay Model in Sausalito, a peer-guided tour of UC Berkeley, and a tour of the Marin Civic Center with Supervisor Damon Connolly. The students learn how to utilize public transportation to get out and about in their community. CORE Workshop Program: ACAP may have taken much of our energy last year but we never lost focus on the heart of Autistry which is the Core Workshop Program. The Core is a therapeutic Maker/STEAM program where students ranging in age from 13 – 55 create awesome projects of their own choosing and along the way gain fundamental and essential knowledge about themselves. Some students come to the Core in their early teens, stay with us through high school, through college, and continue to attend workshops as they establish careers. Our younger students often discover that, even though they like to test them, firm boundaries keep one physically and emotionally safe. And, within that safe zone they can settle down and build projects they have been dreaming of for years. This year we added new electronic capabilities and created several new projects on the 3D printer. Having the right tools and equipment on hand is what makes it possible for students to build such a wide variety of projects. We have 2 new 3D printers on order, the second laser cutter will come online soon, several new work benches have been built during this holiday week, and boxes of Arduino and Raspberry Pi parts keep arriving. The goal at Autistry, for both the ACAP and the Core Program is to help individuals become as independent as they are capable of being. 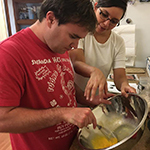 Your support helps us purchase great tools and state-of-the-art equipment, and attract smart, talented staff – the key ingredients to Autistry’s success. There’s still time for that End-of-Year Donation! The Autistry Team wishes you all a fabulous new year! SAN RAFAEL, Calif., Oct. 17, 2017 – Autistry Studios, a therapeutic /educational makerspace providing programs and services to teens and adults with autism, announced today that Clifford Saron, PhD, research neuroscientist at the Center for Mind and Brain and the MIND Institute at UC Davis, and Gordon Lithgow, PhD, Chief Academic Officer and professor at the Buck Institute for Research on Aging have joined the Autistry board of directors. 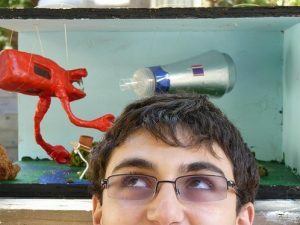 Autistry is entering its 10th year offering hands-on maker workshops where students create fabulous projects based on their own ideas including robots, dioramas, stop-motion animation, Raspberry Pi and Arduino computers. Lawson points out that the projects are not recreational. They are preparation for employment. The process of creating projects strengthens job readiness by practicing vocational and social skills. 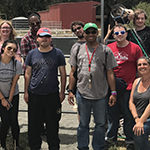 The company recently added the Autistry Comprehensive Adult Program (ACAP) addressing the specific and individual needs of autistic adults in the areas of Education, Vocation, Life Skills, and Physical Fitness. ACAP is supported by the Golden Gate Regional Center. 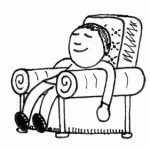 Step 3: Relax! Forget about the first 2 steps, you don’t actually need to go anywhere! Step 5: Accept our thanks! Gifts of $100+ acknowledged on our unique donor wall. Step 6: Encourage others to join in! • Post images in our online albums. With schools starting earlier and earlier, summers are getting shorter and shorter. And this one was certainly fast and furious. But we managed many new projects, exciting excursions, and the launch of two new programs. 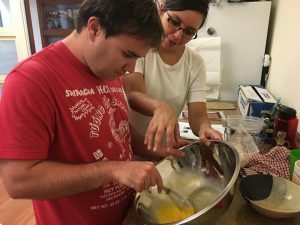 The Autistry Comprehensive Adult Program (ACAP) began this summer. ACAP is comprised of four interwoven programs: Education, Vocation, Life Skills, and Physical Fitness. Together these programs provide a comprehensive learning experience that supports growth, maturation, and individuation. ACAP is designed as a 5-day/week program and is funded by the Golden Gate Regional Center. Clients may attend fewer days as fits their schedules. It may be that a client has an internship or employment 2-3 days a week and wants to supplement with 2 or 3 days at Autistry. The program is flexible to support the needs of the individual. ACAP launched in July supporting students attending the College of Marin Summer Bridge course. 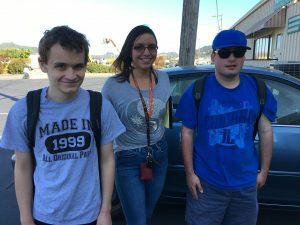 Students learned to use public transportation and returned to Autistry to do homework. The Autistry staff is just as excited about ACAP as the students. Students learn to Cook with Gabrielle (and who doesn’t want to cook with Gabrielle Haggett-Molina!). She has designed a nutritious, fun, and very yummy curriculum. Skills include meal planning, shopping, kitchen tool safety, hygiene, healthy nutrition, and, the ever-important kitchen clean up. 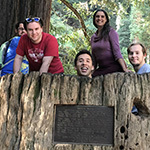 Matt Glenwright is leading the way with an excursion program to Explore and Experience the Bay Area. 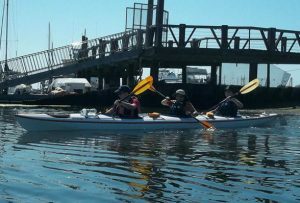 He combines travel training using public transportation (Golden Gate Transit, Marin Transit, BART, and soon the SMART train) with exciting adventures: kayaking, hikes in the redwoods, rock concerts, and much more. To encourage, support, and measure the acquisition of workplace skills, Allison Mages is helping create the Autistry Skills Certification Program. We offer certification in ShopBot, Laser Cutter, Soldering, Sewing, Adobe Photoshop, Adobe Illustrator, Adobe Premiere Pro, and many others. We hope to eventually recognize all micro-competencies our students achieve at Autistry. These certificates also give our students tangible experience to include on a resume. We have also added the Autistry Professional Development Program to our list of services. Our leadership team, Janet Lawson, CEO, Dan Swearingen, COO and Sara Gardner, Clinical Director have years (decades?) 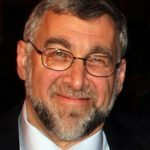 of experience working with autistic teens and adults. Through seminars, workshops, study groups, and presentations we will share our knowledge and experience with professionals and families. Our next professional development seminar is: Working with the Autistic Client. Saturday, September 16, 9am to 4pm. CE credits for psychologists, social workers, counselors and nurses are available. More information available on the seminar page. As this summer comes to a close we are looking forward to a busy, productive, and fun fall!